Feyenoord fans gathered at a fountain in the centre of Rotterdam immediately after the victory to celebrate the club’s Dutch title win. Dirk Kuyt says “everyone laughed” when he said Feyenoord could win their first Dutch title since 1999 when he returned to the club about two years ago. However, the 36-year-old captain’s prediction came true on Sunday as his hat-trick saw the hosts beat Heracles Almelo 3-1 to secure the Eredivisie and on Monday, the former Liverpool forward led the parade as thousands of fans rejoiced in Rotterdam. 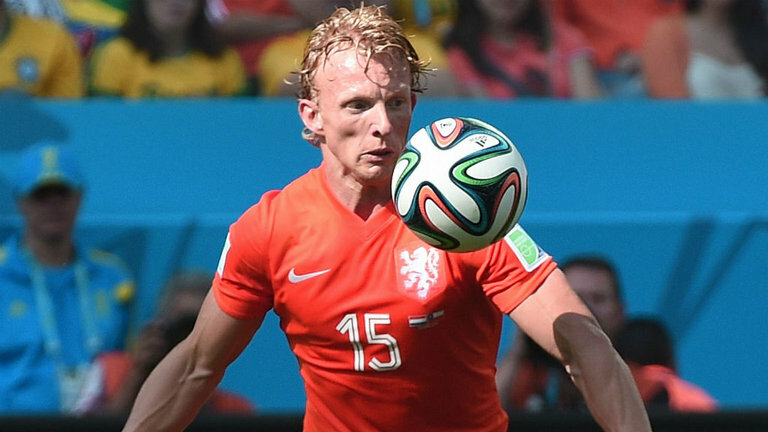 “This is the best moment of my career,” said Kuyt. He added that the title topped his appearances for Liverpool in the 2007 Champions League final and the Netherlands in the 2010 World Cup final. “I knew when I came back two years ago that we could win the championship and everyone laughed at me when I said so,” said Kuyt. WHO ELSE WANTS MESUT OZIL? There has been so much noise about the likelihood that Arsenal playmaker MesutOzil would exit the side this summer. The German star does not lack admirers but how many sides are really open to receiving him, after meeting his release clause and contractual obligations, and using him to his true potential? Arsenal pays the former Real Madrid star £140,000 per week. That contract is in its final year before the player would have to commit to another club or accept the Gunners’ offer. This scenario is a regular one for the North London outfit. Although left back Nacho opened the scoring while Toni Kroos sealed off the victory, Cristiano’s two goals sandwiched between that of his team mates did go a long way in keeping Los Blancos confident throughout Sunday evening as they trashed Sevilla 4-1 , edging them closer to the league title. This latest display of his adds to the growing list of crucial goals he’s’ scored for ZinedineZidane’s team as they close in on making history as the season edges closer. His latest brace took his total since joining the capital side to 401. CAN LIVERPOOL STOP CITY ON SUNDAY? 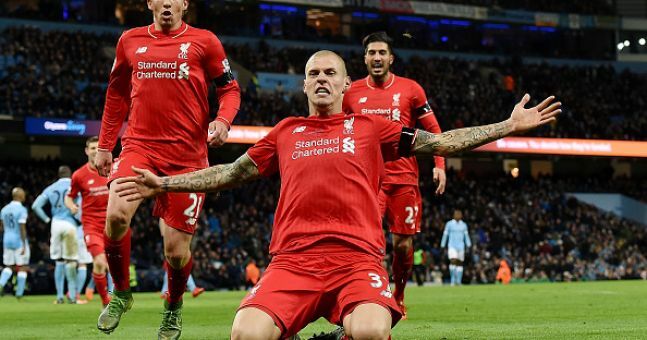 Liverpool are set to play Man City on Sunday at the Etihad. Coach Jurgen Klopp would face a difficult clash as the race for the top four intensifies. Coach Pep Guardiola would be keen on finishing the season well, aside consolidating City’s spot as Champions League contenders next season. Guardiola would likely play veterans Yaya Toure and Nicolas Otamendi – both stars who missed the Monaco clash – against the Reds. Liverpool might give a few minutes to Roberto Firmino. The Brazilian missed the game against Burnley last week. He is likely to play the lead strike role. Liverpool would welcome defenderback to the fold after missing games since January. Guardiola would be the cynosure of all eyes as he begins a tough run of games. City would play Liverpool first before games against Arsenal and Chelsea. This is aside the important – hopes of winning something this term – game against Arsenal in the FA Cup. The Spaniard managed similar tough run of games whilst in the La Liga and with Bayern Munich, so he has the capacity. Former Liverpool and Netherlands midfielder Dirk Kuyt have reacted to been labeled a “scouse b*****d” by Manchester United fans after his team lost to Manchester United in their Europa League group stage fixture. The match between both teams in the Europa League group stage saw Feyenoord edging Manchester United in Rotterdam while Manchester United deservedly won the second leg all thanks to a 4-0 thrashing of Feyenoord at old Trafford. 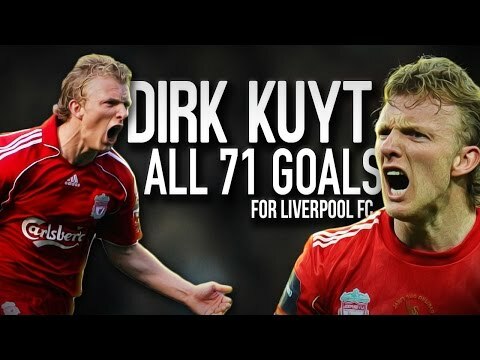 In an interview in which Kuyt who played for Liverpool from 2006-2012 granted the press, the Dutchman explained that although going four goals down wasn’t a pleasant experience; he enjoyed being picked on by the Manchester United faithfuls. The Footballers of Durk Kuyt’s former club Fenerbahce were lucky to come down safe in Hungary the other day as the aeroplane they had boarded had a mini-accident up in the sky. A flying bird came in the way of the aeroplane suddenly and the pilot could not avoid striking it. But, he kept the balance of the plane even after that collision and made sure he had control over it until he the landing happened. Sometimes, such collisions cause plane-crash as the plane gets imbalanced. Fenerbahce was actually not travelling to Hungary. Their destination was United Kingdom where they had to play a continental match against an English side, but, since the collision had damaged the front part of the plane, it was dangerous to continue with the journey. So, the pilot, in consultation with the control room, took the plane down at the nearest available appropriate place which was the airport of the Hungarian capital.